The Canadian cannabis activist has spoken out against recent dispensary raids in Toronto, claiming they were not carried out in the interests of the public. Canadian cannabis activist Marc Emory spoke out against recent dispensary raids in Toronto, saying in a column that the actions of the police were not carried out in the interests of the public but rather in the interests of the monied elite. On Thursday, May 26, police in Toronto raided forty-three dispensaries, arresting over 90 people and handing down a total of 186 charges. Authorities said that the raids were carried out against dispensaries that violated the city’s zoning and licensing bylaws, including the sale of food without the proper certification. At a press conference immediately following the raids, Toronto Chief of Police Services Mark Saunders said that the operation –dubbed ‘Project Claudia’- did not target legal medical cannabis dispensaries, but rather those that chose not to comply with the law. These locations have a broader impact on the surrounding neighborhoods. There is no quality control whatsoever on these products, and as you can see, they are marketed in a way to disguise the unknown and unregulated amount of THC in the products… The Toronto Police Service has always and will continue to keep the neighborhoods as safe as we possibly can. Saunders also noted that many of the dispensaries that were raided were within close proximity to neighborhood schools. The raids were carried out amidst a larger initiative by the Trudeau government to legalize cannabis in Canada by the spring of next year. Justin Trudeau and the liberal government lied to the Canadian people. This is a new form of prohibition. This is worse than anything we saw under the Harper government. I think Canadians should immediately call Justin Trudeau, John Tory, and Bill Blair, and ask why we’re seeing more people being harmed under their so-called legalization than we ever saw under Stephen Harper’s anti-marijuana policies. She went on to inveigh against what she saw as corruption within the government, with politicians targeting those who threaten their financial interests and those of their corporate backers. Many of the accusations laid out by Jodie Emery were later echoed by her husband. 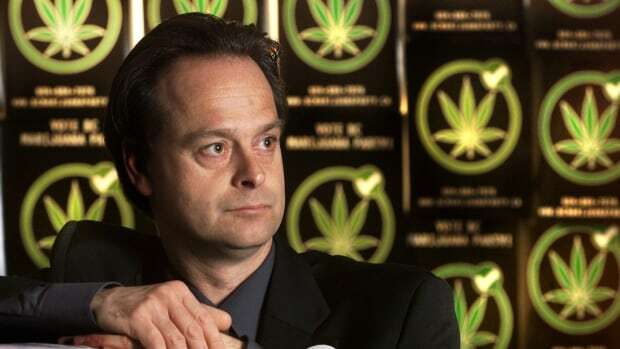 In a lengthy column that appeared in The Georgia Strait, Marc Emery –himself one of the most famous pro-cannabis activists in the world– questioned the purpose of raiding the dispensaries –which he deemed to be unharmful to the public– and attacked the Canadian government’s legalization czar as being both corrupt and ignorant on the issue. On Tuesday, May 24, legalization czar Bill Blair…met with licensed producers to hear their cries for the market monopoly. Voila, 48 hours later, deliverance was theirs. The person chosen by the Canadian government in the 21st century to organize ‘legalization’ didn’t believe marijuana could be grown in a safe and healthy manner when he took the job. Then a revelation –an epiphany!– happened to our Bill… If the LPs had not coincidentally come along to show BIll that weed can be grown in a Monsanto-healthy manner, would true legalization be doomed because nobody could grow it safely? Emery went on to denounce the raids as being part of a larger effort to bolster the police while continuing to stigmatize cannabis users. Marijuana is not like everything else to these people. They need to preserve all the police budgets, to collect ripoff taxes, to keep prices high, to maintain the stigma on pot users, to push the pot people around, to condescend to them, and to continue to arrest them and fine them when we dot it our way. Do you think the Toronto police were justified in carrying out the raids? Tell us why on social media or in the comments below.